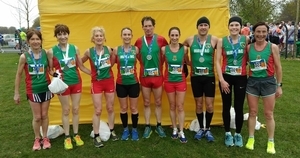 It was an early start for Mayo AC members when their team of 16 competed in the 2019 National 10k Championships incorporated in the Great Ireland Run in the Phoenix Park on Sunday morning last. 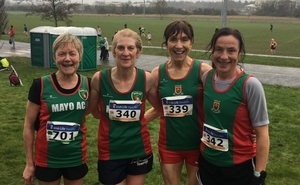 Four Mayo AC masters set out on Sunday Feb 3 for the long trip to the grounds of the Institute of Technology Dundalk for the National Intermediate and Masters Cross Country Championships. 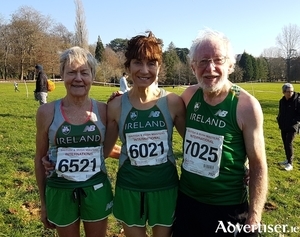 Three of Mayo AC’s masters athletes represented the club on the Irish team in the 31st Annual British and Irish Masters International Cross Country Championships in Singleton Park, Swansea, on Saturday. 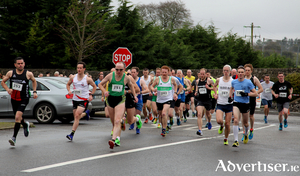 The inaugural Castlebar Greenway 10 mile race organised by Mayo AC.took place on Sunday morning last. 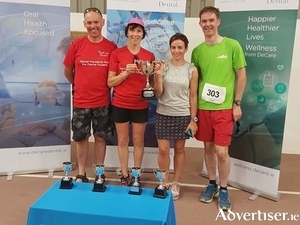 The De Care Dental Claremorris 5k took place on Wednesday July 4 and was also a target race in the 2018 Mayo AC Vodafone Club League. 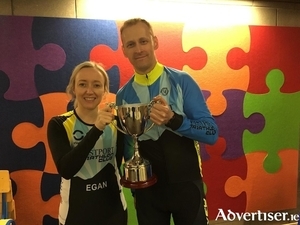 There are fewer than 10 weeks to go to Westport Triathlon Club's biggest event on June 16 – the annual Westport Triathlon is selling very well and is expected to be another sold out event. The Louisburgh Clew Bay Half Marathon and 10K event for 2017 went off this year without any hitch. 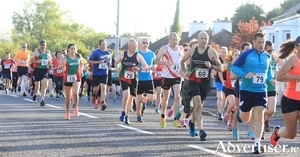 The event welcomed record numbers for both races to Louisburgh with registrations over 400 for the first time in the event’s seven year history. 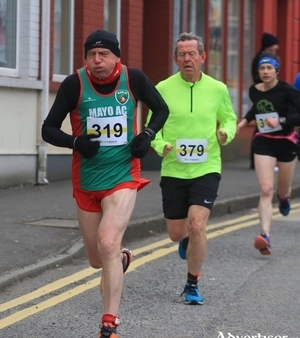 The familiar setting of the main street in Hollymount village was the backdrop to the traditional November road races on Sunday afternoon. Sean Reilly and his team put on another well organised version of this popular annual event. It was the 52nd running this year - a fantastic and unique achievement - which once again took place around the familiar 3k lap. 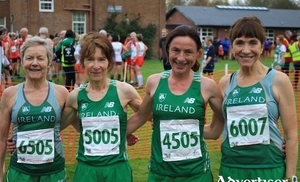 Mayo AC had four representatives on the Irish team competing in the 30th Annual British & Irish Masters International Cross Country in Derry. It's the third time in recent years that the event has taken place north of the border - in the grounds of Stormont in 2007, at Queen's University Playing Fields in 2012 and this year at Gransha Park outside Derry. And Mayo AC have had runners in all of them. 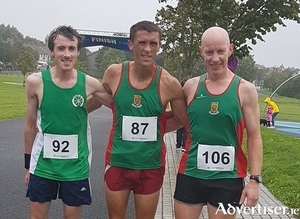 The joint hosts were Northern Ireland Athletics and the local club City of Derry Spartans and they provided a well organised event.